In Naples, life and death are often inextricably linked, bound together by miracles both official and vernacular. 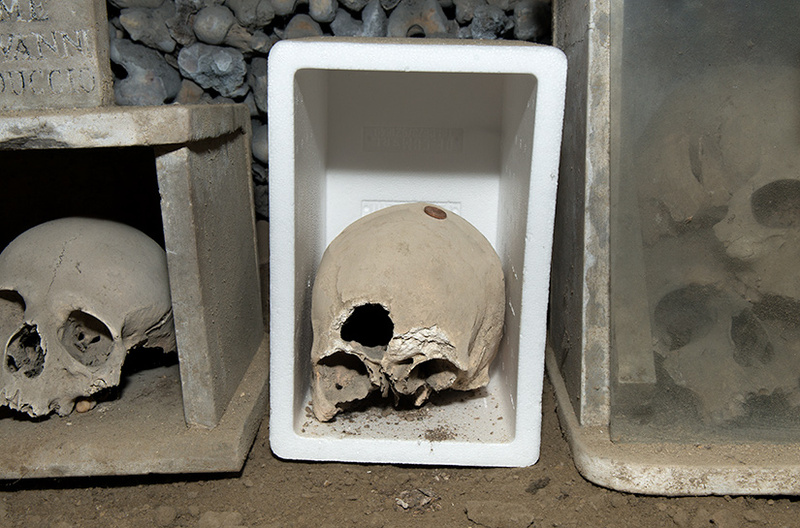 While the most celebrated Canonical miracle is the liquefaction of San Gennaro’s blood, vernacular miracles believed to be performed by 'capozzelle' (anonymous ‘little skulls’ lost in purgatory) at the Cemetery of Fontanelle, the Church of Santa Maria delle Anime and other sites, have continued to deliver the possibility of hope to lives of the urban Neapolitan proletariat. In the wake of the Vatican II reforms in the late 1990's, the Neapolitan archbishop denounced the 'capozzelle' cult as superstitious fetishism and ordered the closure of the veneration sites. After a number of protests and a sit-in at the Fontanelle Cemetery in 2010, the city and the archdiocese rescinded their closure and Fontanelle and Santa Maria delle Anime were re-opened to the public. For decades, devotees have visited these anonymous 'little skulls' to adopt them and offer prayers to grant their souls a speedy crossing from purgatory into heaven. In return, the 'anime pezzentelle' (vagabond souls) conjured by the skulls were expected to be conduits for a range of divine favours both immediate and long-term. Common among the many and varied favours requested are those for an untroubled and healthy journey through life, and, for the revelation of the coming week's winning lotto numbers in dreams. 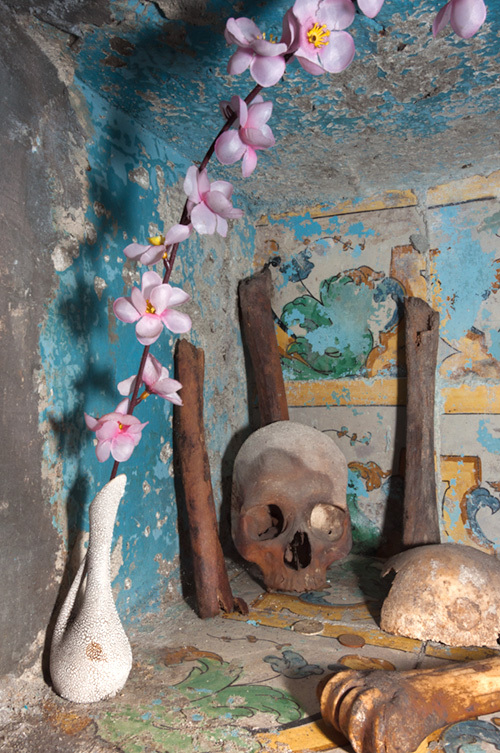 If grace was received or a favour was granted, devotees then built elaborate or simple makeshift shrines for their chosen skulls, sometimes adopting them with their families’ names and adorning them with cushions, letters, lotto receipts, mementos, prayer cards, family photographs, dried flowers, rosary beads and coins. 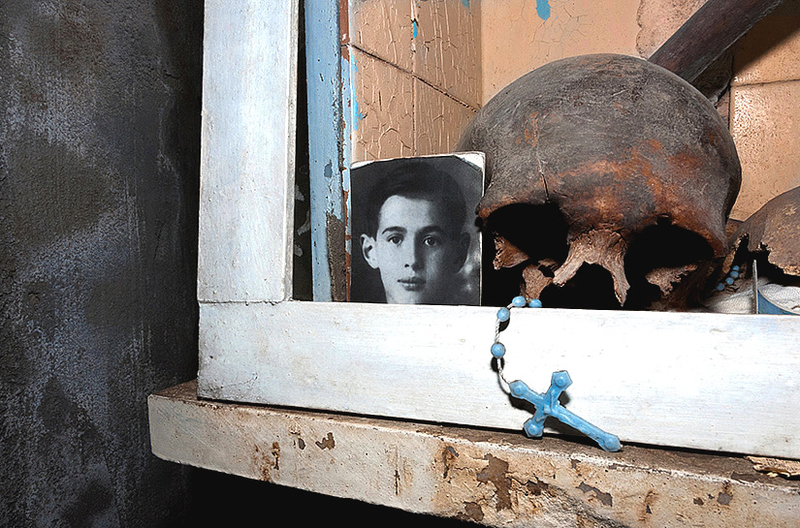 Favours From Beyond (2014-2018) documents the material culture of these ongoing vernacular religious cult praxes in Naples following the re-opening of these dark, damp and dusty sites - inviting us to enter a liminal space where life, death and the in-between coexist. 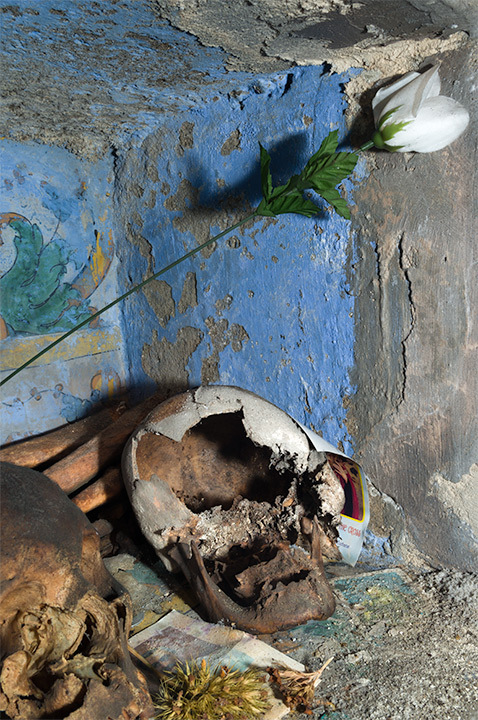 The project is the first comprehensive archive and visual typology of the diverse range of skull shrines and associated objects at the Cemetery of Fontanelle and at Santa Maria delle Anime in Naples. Consisting of over 100 colour images (archival pigment prints & light boxes), the project is available from May 2019. The project is supported by the Comune di Napoli, Italy.